This nicotine test can detect the consumption of any tobacco product like cigarettes in just a few minutes. 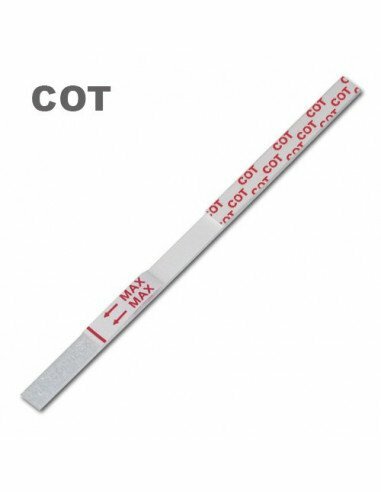 The NarcoCheck® COT rapid test strip is an immunoassay for the fast detection of cannabis (marijuana) use in human urine. Cotinine is the metabolite of nicotine, ie the nicotine once transformed by the organism. Cotinine is now recognized as the main biological marker of tobacco smoking. A positive result in this test means an active smoking (several cigarettes have been smoked in the last 48 hours). 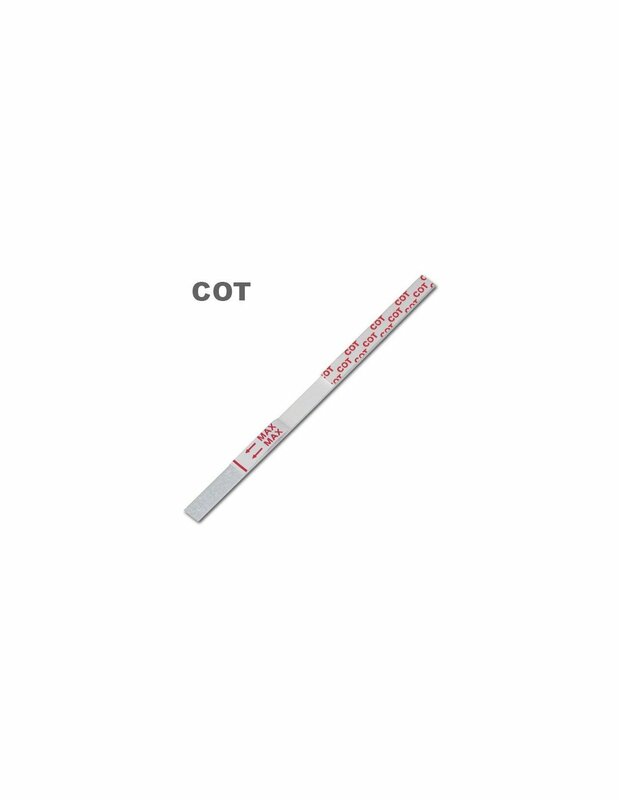 For parents, this smoking urine test can be used as part of a comprehensive prevention against cigarette use. Smoking is prohibited in most families and homes. It is not to spoil the life of our teenagers, but to protect them. Time-to-time screenings may help to enforce this rule, thanks to their dissuasive effect. Indeed, many of them will hesitate to light a cigarette if they know that they will be busted by a simple tobacco urine test. Tobacco has always been (along with alcohol) the first drug to be used by young people. The first cigarettes are smoked between friends, cousins or neighbors. They smoke discreetly, taking care that the parents do not realize it. Most adult smokers have started this way. It often happens that young people begin to smoke to yield to the pressure of the group. Putting in place a regular nicotine test can give to your children a timely and valid reason to refuse a cigarette: "no, I can not smoke, my parents test me". For many teenagers, this will in any case be a sufficient deterrent. Moreover, if they never smoke cigarettes, the chances of never having a problem with other drugs will be multiplied.